We left at 7:30AM for Annapolis a distance of 35 miles. 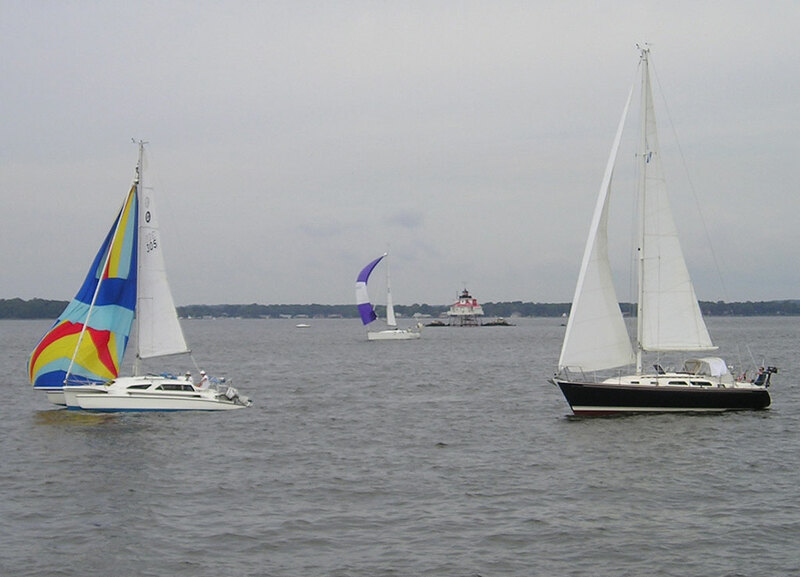 Nearing Annapolis the view was a sea of sailboats stretching across the horizon. The last time we saw a sight like that was the sailing Olympics on Lake Ontario in 1976. It seems that on holiday weekends all the boats are out so we got a slip without difficulty at Mear's Marina. This is only the second marina we have encountered with wireless Internet service. It makes it really easy to update the blog.